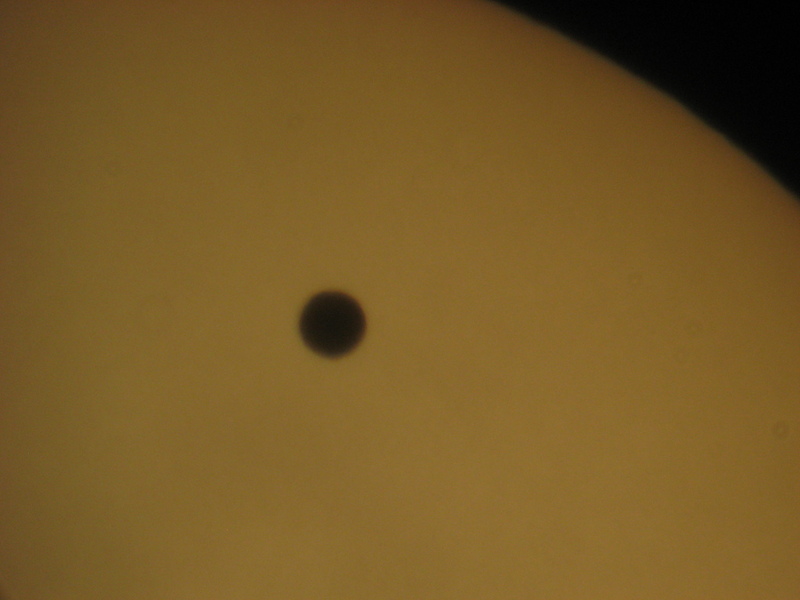 Today was the transit of Venus, and I was ready with my small telescope and solar filter. I was home most of the day because the big oak tree in my back yard was being trimmed. That took a good part of the day, and by the time they were done, it was just about time for the show. 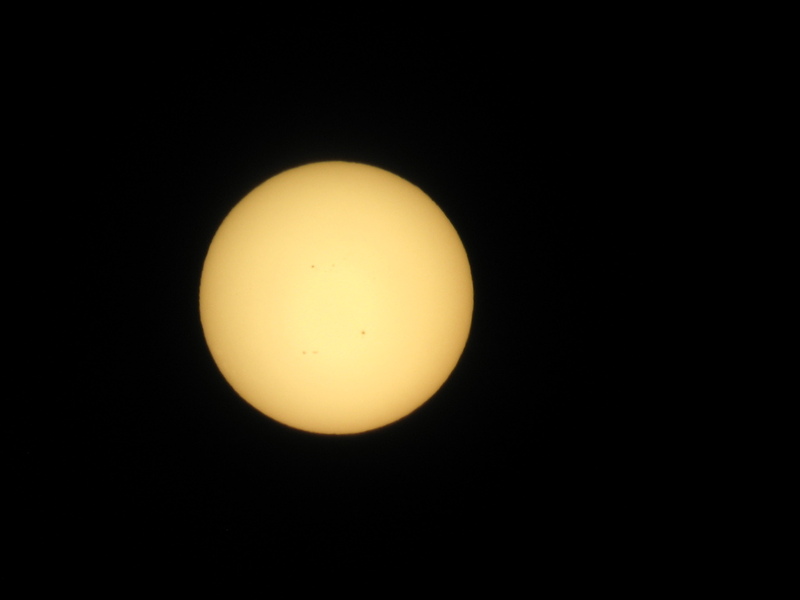 So I set the telescope up on the driveway and settled in. 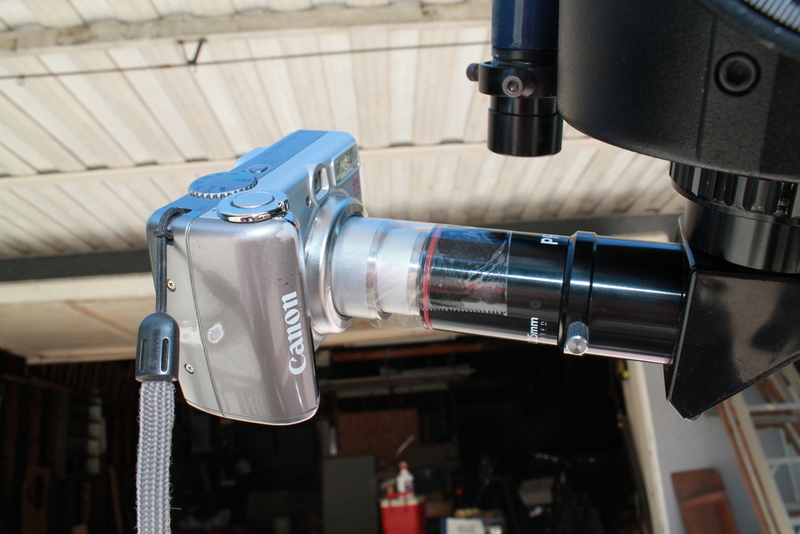 My astrophotography rig, such as it is, consists of my Canon A570 camera attached to the eyepiece of the telescope with some packing tape. It’s pretty simple, but it works. 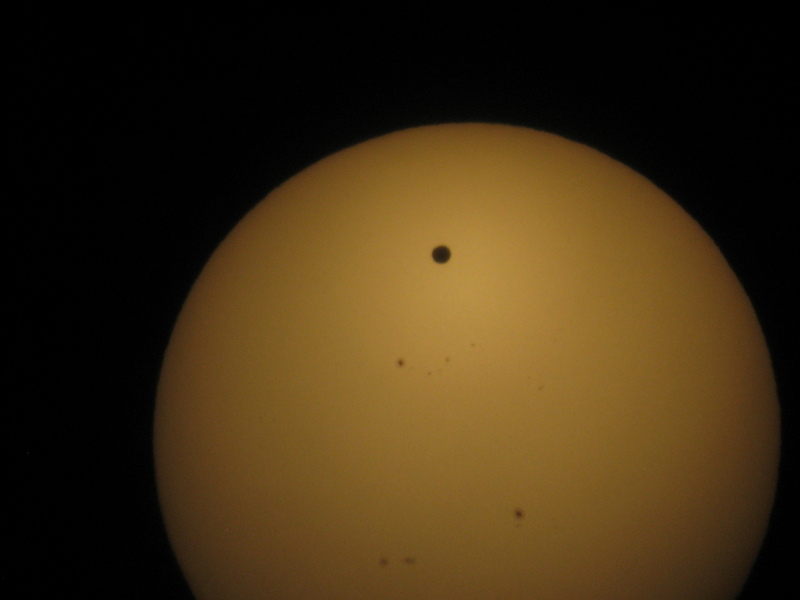 The first photo shows the Sun just before the start of the transit. 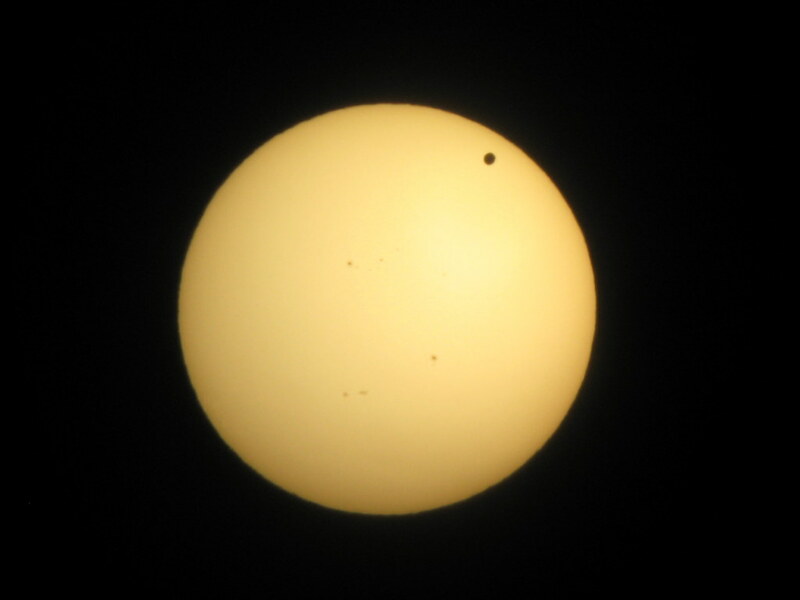 The second was taken when Venus was fully in front of the Sun, which was about 30 minutes in. The other photos were just taken at random times along the way. 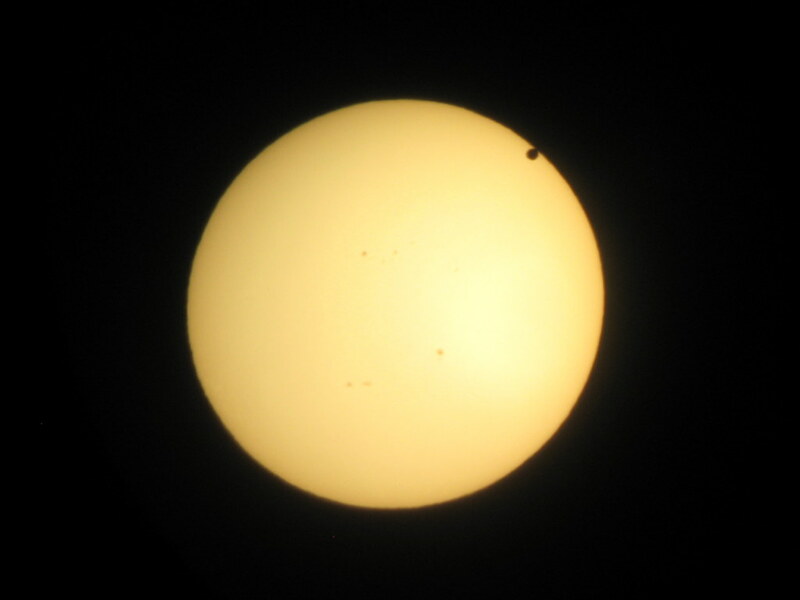 Sunset was just after the mid-point of the transit, so the last photo was taken just about the mid-point. And of course, while I was doing this, the neighbors were stopping by to look at it, and I even had some people who just happened to be passing by stop for a look. All told, it made for a fun afternoon. And that’s a good thing, since it won’t happen again until the year 2117.